Indian Football : BREAKING NEWS (8th February, 2012) : I-League Clubs On War Path With AIFF? You are here: Home » Other » Indian Football : BREAKING NEWS (8th February, 2012) : I-League Clubs On War Path With AIFF? Representatives of all I-League clubs except HAL and Pailan Arrows met in a four hour long meeting in Lotus Lounge, Mumbai to discuss a host of issues related to I-League. A meeting of such scale is unprecedented in history of Indian football and it seems that the clubs will be on war-path with AIFF after the I-League concludes. As of now none of the club officials have disclosed in details about what was discussed in this meeting. Sukhwinder Singh’s resignation has left Pailan Arrows coach less for rest of the season. The cief sponsors are reportedly in talks with a Korean coach but according to AIFF, Pailan Group has no jurisdiction to appoint a coach for the team. As of now Tanumoy Bose and Sujit Chakravarty, who were already part of the coaching team for Arrows, will be taking over. IFA Shield will be held in first week of March and as expected, the clubs will be facing problems with the schedule. There is a chance that East Bengal, who have AFC Cup matches in the same period might not participate in Shield. Coach Trevor James Morgan is not interested to play in the Shield but mentioned that the club will be taking a final decision. Motilal Nehru School of Sports in Rai near Sonepat, Haryana and Father Agnel School in Noida are fighting it out for the rights to host one of the four FIFA football academies to be set up in India. This Academy will contain 30 budding footballers between 14-16 years of age from accross India. Other three academies will come up in Mumbai, Kolkata and Bangalore, though AIFF is yet to announce the locations. 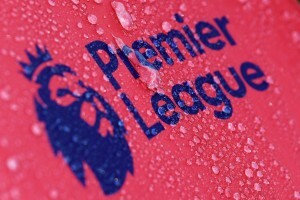 Click here to read details about locations of each Premier League Franchisee. Click here to Arunava Chaudhuri’s interview of Anand Krishnan, who is closely associated with United Sikkim FC.